This exam season, say goodbye to stress! Exams are around the corner, it is surely a testing time for both the students and the teachers. But as Prime Minister, Mr. Narendra Modi says, ‘Be a warrior, not a worrier’. We, at Teachers of Tomorrow, have some tips that you can share with your students, to help them effectively combat stress. schedule and stick to it. The earlier you start, the less you’ll have to do in each block. Incorporate innovative ways to memorize information. Doodle, read-aloud, enact or make post-it notes with important points, to stick around your study table. A good amount of rest rejuvenates the body and mind and provides ample rest to the brain. Switch off the TV, your Xbox, and phones while you are studying. Reward yourself with your favorite TV show or game once you have achieved your goals for the day. Go out for frequent walks, and buy new stationaries for your exams. This will surely motivate you for the upcoming exams. You are your best competitor. Focus on enhancing your own knowledge, instead of just outperforming your peers. Prepare for your exams with a smile, carry the same smile all the way to the exam hall, and out of it. Ms. Gandhimathi Balaji shared her tip – Take a break! Talk to your parents or siblings, take your pets out for a walk and read something for leisure. Rubina Mohammed Ansar Choudhury suggested – study with frequent breaks, it makes learning stress-free & fun, breaks can range from 10 mins to 30 mins depending on syllabus & grade. Frequent breaks of less time would help with a maximum of 6 breaks in a day. Rajlakshmi Mishra– Write down the answers to the point! We would love to hear from you as well! What tips do you share with your students to deal with exam stress and how do you motivate them? Share your mantras with us, in the comments section below. Healthy food, quick breaks, ample sleep and play are all essential elements that help students cope with stress and anxiety. Above all, students must be continuously reminded of keeping a calm mind by providing larger perspectives to the concept of examination. Community Manager of Connected TOT, I take forward our commitment of Improving Education. On behalf of Cambridge, I speak to educators to get the best possible tips and advice, that can challenge or add to the pool of knowledge for other members of Teachers of Tomorrow. 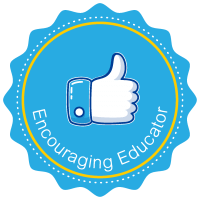 With teachers at the heart of everything we do, I reach out to brighter thinkers, further supporting and inspiring them to share their success stories or best practices in a plug and play form that can be easily implemented by other teachers in their classroom insuring brighter learning for all learners. 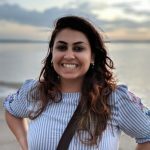 I manage this community that connects with teachers around South Asia to make Better Learning Possible. We hope that these articles inspire you to become part of the Cambridge story – a world of Brighter Thinking and Better Learning. Write to me at connectedtot@cambridge.org. Best Good Luck Message From a Teacher. Top Tips for Your Upcoming Exams!